There is a parking lot with toilets by Hofskirkja, one of the nicest churches in Iceland covered with grass. Just turn off the Ring Road to the village of Hof. 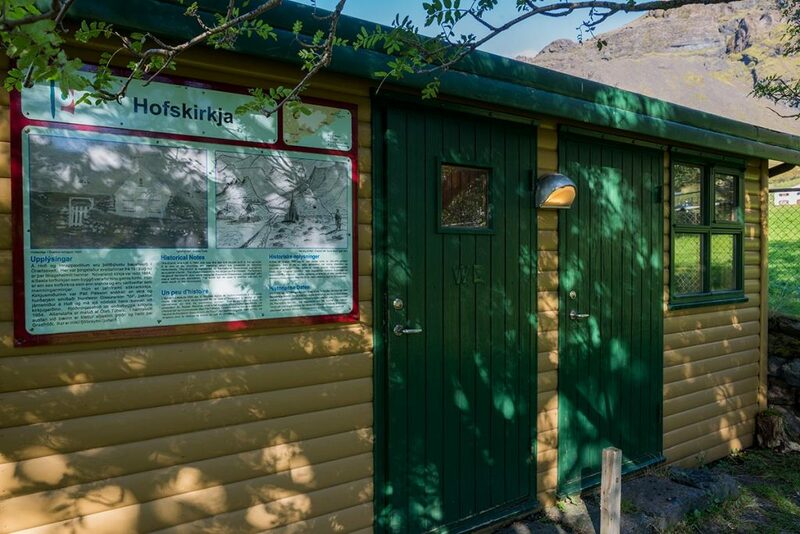 GPS coordinates of Parking lot with a toilet by Hofskirkja Parking lots with WC : 63.907022, -16.707289 Take me there!